Here’s a noteworthy global health trend: While governments are shouldering a growing share of the funding, care delivery is increasingly private. Improving public health requires trust and partnership between governments as well as with the corporate and nonprofit sectors. The aid community can help to innovate, build capacity and advocate for sustainable solutions. Those were some of the takeaways from a spirited conversation among global health experts Tuesday at the Newseum in Washington. The event served to launch the “Report on Global Giving: A New Era of Philanthropy and Investment in Global Health,” prepared by PSI and Devex in partnership with Fenton Communications. “Global Giving” provides a rare glimpse not just of bilateral aid, but of various funding sources, from governments and foundations to impact investors and other emerging donors. The event, too, featured a variety of speakers representing the public, private and nonprofit spheres, including PSI President and CEO Karl Hofmann; David Ferreira, GAVI’s managing director for innovative finance; and Jim Jones, ExxonMobil’s manager of community interests. Together, they tackled questions such as: What is the role of the BRICS in improving global health? How do publicly held companies justify their social investments with shareholders? Is the traditional nonprofit model still relevant? And, what should be done to curtail the rise of non-communicable diseases? Emerging donors are flexing their muscles and driving innovation, said David Gold, principal at Global Health Strategies, while traditional donors are forced to make tough budget decisions. “We can’t fund what we have before just because it’s politically feasible,” he said. That’s why the “Global Giving” report is so timely, Gold noted, calling for more government flexibility to innovate and freedom to, at times, fail. The role of bilateral aid is “much smaller” today than it was a decade or so ago, said Liz Schrayer, executive director of the U.S. Global Leadership Coalition, which advocates for a robust foreign affairs budget. Government may be one of the “least flexible” institutions imaginable, she added, but there are some things only it can do, like creating health systems and a business climate that encourages private sector investment. That said, remittances and private investments dwarf ODA, said Dr. Ariel Pablos-Mendez, assistant administrator for global health at the U.S. Agency for International Development. An increasingly important role for donors like USAID is to help developing world governments partner with and procure from the private sector, he added. Many companies are eager to explore new markets, and they see huge opportunities in moving toward “creative commercial strategies” to achieve “shared value” with their clients and customers, said Caroline Roan, vice president of corporate responsibility at Pfizer Inc. and president of the Pfizer Foundation. While they acknowledged the promise that lies in nongovernmental organizations and companies working together to accelerate the introduction and scale-up of innovative health solutions, several speakers also highlighted oft-arising challenges, including unrealistic expectations and diverging goals, bad planning, low overhead and a financial dependency that may prevent rigorous impact evaluation. Wendy Taylor, director of USAID’s Center for Accelerating Innovation and Impact, promised to raise that question with her colleagues at the agency. It was one of several memorable exchanges witnessed by more than 150 guests in Washington and many more watching online via livestream. 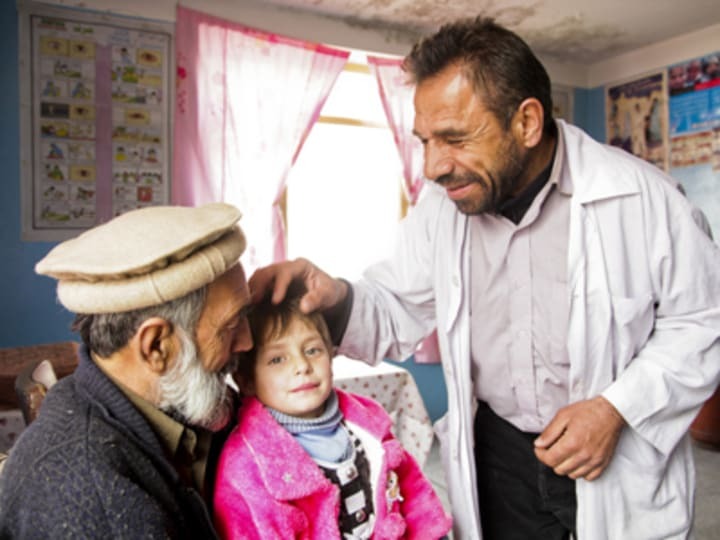 Find out more about the ”Report on Global Giving: A New Era of Philanthropy and Investment in Global Health” by PSI in partnership with Devex and support by Fenton Communications, and sign up to receive PSI’s Impact magazine. Subscribe to The Development Newswire to receive top international development headlines from the world’s leading donors, news sources and opinion leaders — emailed to you FREE every business day.